If Sony doesn't push for 4K on Blu-ray, who will? Sony has been talking about Blu-ray in Japan this morning and the news does not bode well for anyone hoping for a new 4K Blu-ray format. The company's forecasted financial losses, which were already sizeable, have grown even bigger. And alongside costs incurred by its withdrawal from the PC business, one of the key reasons given is the decline of the physical media market, i.e. Blu-ray disc sales. "Sony expects to record approximately 25 billion yen in impairment charges mainly related to its overseas disc manufacturing business. Primarily due to demand for physical media contracting faster than anticipated, mainly in the European region, the future profitability of the disc manufacturing business has been revised. "Consequently, Sony has determined that it does not expect to generate sufficient cash flow in the future to recover the carrying amount of long-lived assets, resulting in an expected impairment charge. Primarily due to the reason mentioned above, the fair value of the entire disc manufacturing business also has decreased, resulting in an expected impairment of goodwill." 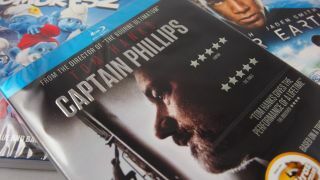 Clearly this doesn't spell the imminent death of the Blu-ray market. Indeed, the BVA reported as recently as December that Blu-ray sales were still on the rise, so let's not get ahead of ourselves. But you've got to wonder, if Sony - the biggest supporter of Blu-ray over the years - is losing faith in disc formats and sees no financial future in them, what hope is there of the Blu-ray Disc Association pushing out a new physical format for 4K? It would require huge support and investment from all manner of companies across different industries - there has to be a financial incentive and I'm not sure if there is one. I was at Pinewood Studios for a Sony 4K product event last week, where all questions about a 4K Blu-ray format were simply swatted away. "You'll need to ask the BDA" was the flat response. They really didn't want to talk about it, it was a bit uncomfortable. There were certainly no hints, winks or off-the-record briefings about an imminent announcement or release. It didn't sound positive then and it seems even less so now. How many people do you know who subscribe to Netflix versus those who routinely buy BDs? Exactly. Does 4K have a physical future? We've been waiting to hear from the BDA on this matter for some time now, but they don't seem ready to share. For me, the main problem is not that people don't value optimal picture and sound quality – I think they do. It's that they value convenience – and money - more. The overwhelming trend for media consumption is a move away from physical media and towards internet streaming. With Netflix, for a monthly fee that's smaller than a Spotify subscription, you can watch a huge range of movies, TV shows, documentaries and music concerts on practically any device with a screen. You don't even need to know how fast your internet speed is or what resolution screen you're running - the service will simply adapt itself to give you the optimal stream for your setup. That's the kind of experience people demand these days. And did I mention that Netflix is now streaming in 4K? Compare that to a disc that can cost more than an entire month's Netflix subscription all on its own, which you have to find somewhere to put, and only works in a BD player plugged into a TV. Yes, Blu-ray offers the pinnacle of picture and sound quality, but how does that help the huge percentage of people now choosing to watch movies on their phones, tablets and laptops? Ultraviolet and the like have been created tried to address that, but let's be honest - no one buys Blu-ray for Ultraviolet. Ultimately, for 4K to find a home on Blu-ray, it has to be financially viable for the technology people and the content people. It doesn't look like it is for any of them, and it's painfully clear that the various jigsaw pieces needed to get 4K into the home is horribly out of sync anyway. I really hope I'm wrong, but a 4K Blu-ray format now seems further away than ever.